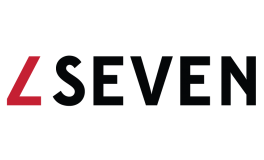 We are L Seven: a burgeoning community of doers, dreamers and thinkers found South of Market. Here, artful design and curious spaces set the stage for a seamless blend of work and play. Come for our rooftop—the main event—with four different areas including a beer garden patio and a game patio; BBQ pavilion and fireplace. Stay for our striking apartment homes and choose from one of four design packages curated to invigorate your senses. After all, you didn’t get here by playing it safe; neither did we. So come, take a peek and get a taste of how life should be. Our emerging downtown SoMa location is just four blocks from the Civic Center and UN Plaza Bart Station and walking distance to major employers.